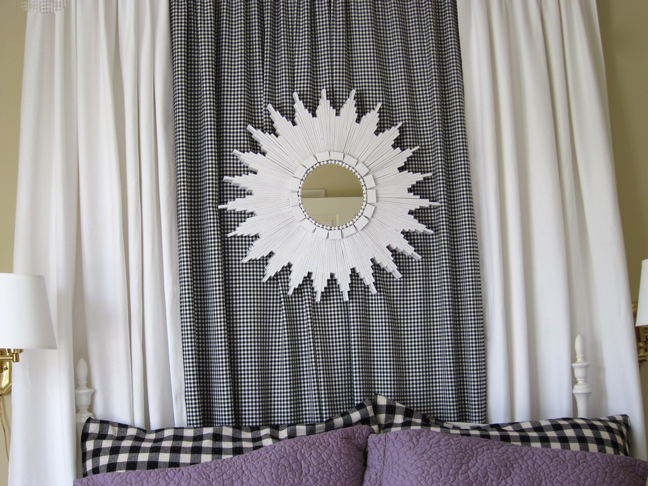 I just love the mid-century vibes of a good starburst mirror. They’ve been on the modern design scene for a while, but they still look so fresh and fun. 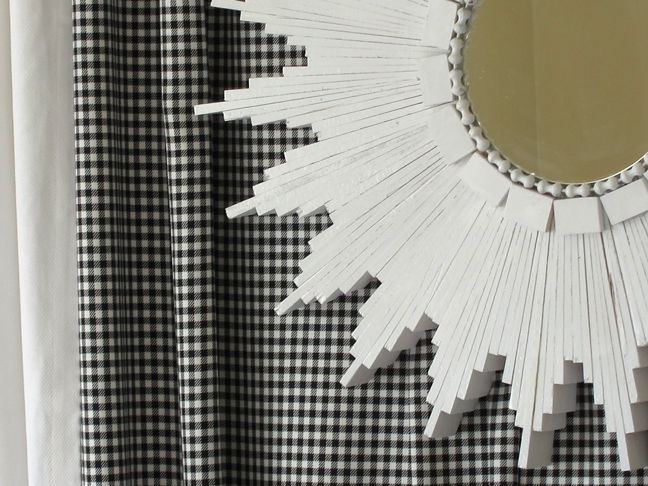 Starburst mirrors can be pretty pricey, whether you’re buying new or vintage, but you can easily make one at a fraction of the cost using wood shims that you can grab on the cheap at your local home improvement store. I found everything I needed for this project at Lowe’s and Michaels. 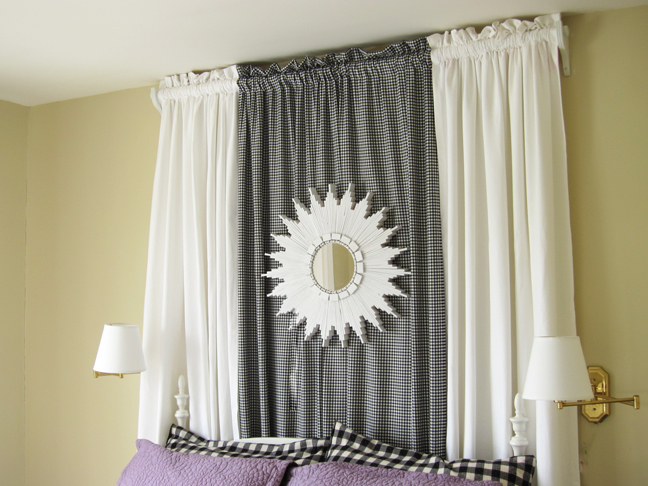 I spray painted my shims as I wanted a white starburst to coordinate with my room, but you can paint them any color or even leave them unpainted for a warmer, more natural look. 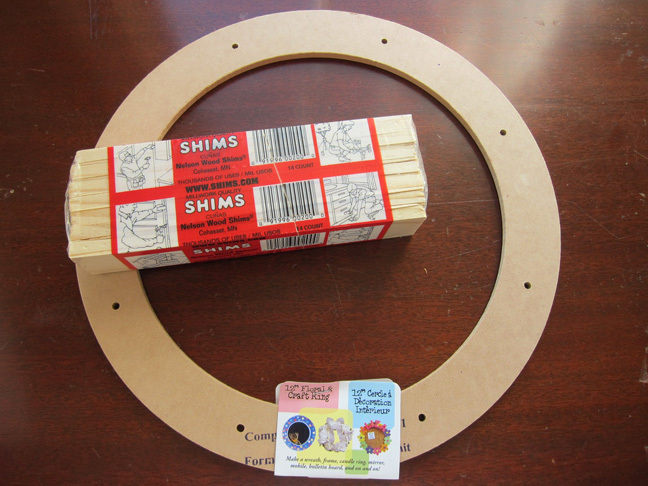 Step 1: You can arrange your shims any way you like. I played with a few different variations but settled on this design. If you look closely, there are nine shims in each section. 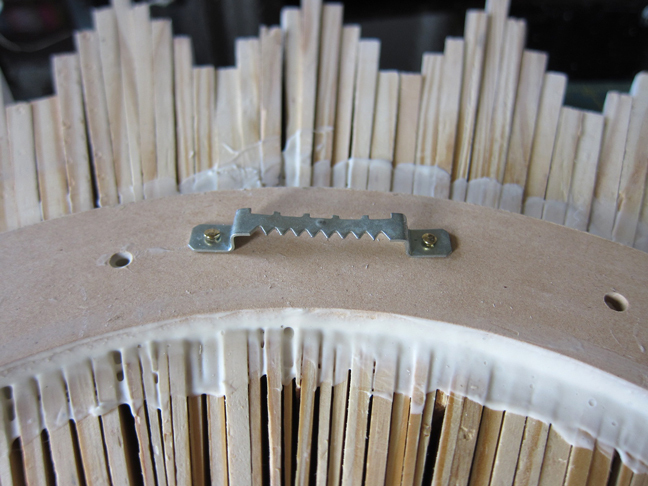 As you put together each section, use Elmer’s wood glue in between each shim and let the sections dry. 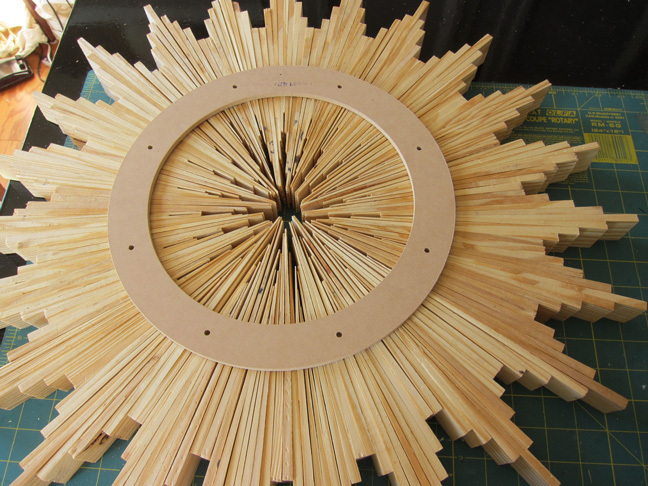 Step 2: Once you have all the sections done, glue them together to create the starburst shape. 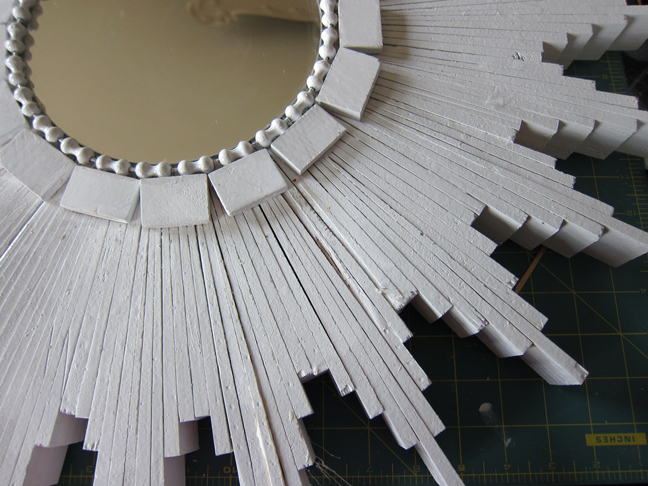 Step 3: Glue the ring onto the back of the glued-together shims and let dry overnight. 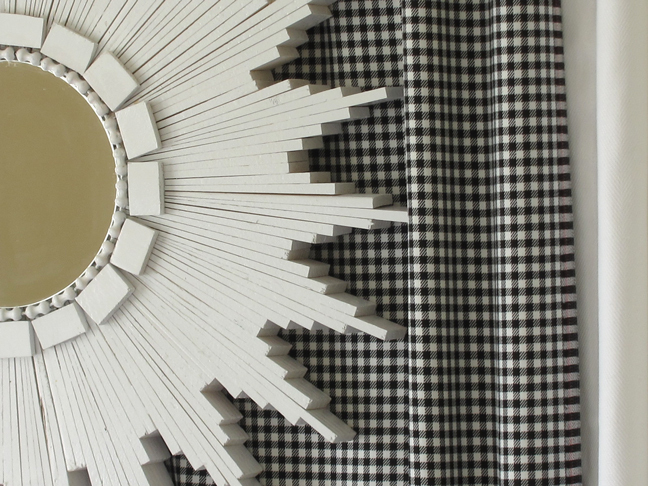 Step 4: Use white spray paint to paint the front and sides of the shim sunburst or leave natural. When the paint is dry, glue mirror to the center front. 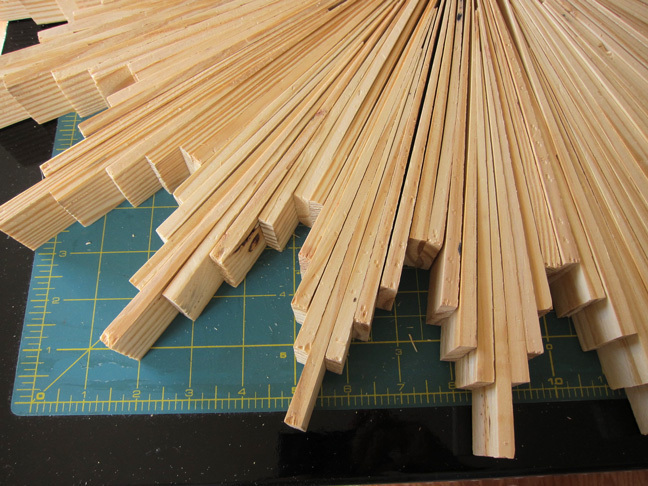 Cut the extra shims into one-inch pieces. 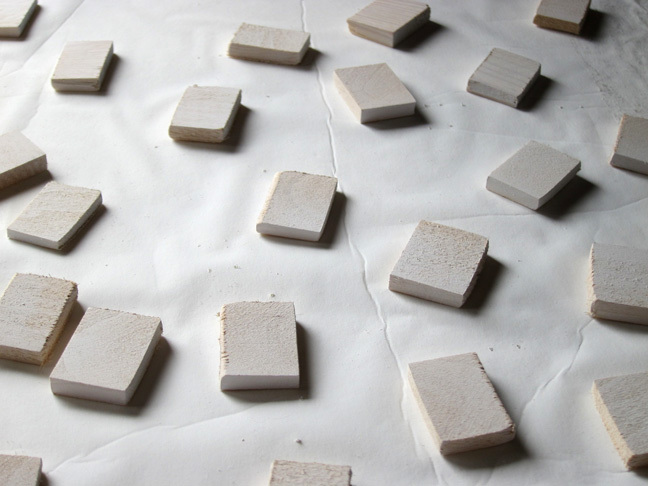 Step 5: Spray paint them white and let dry. 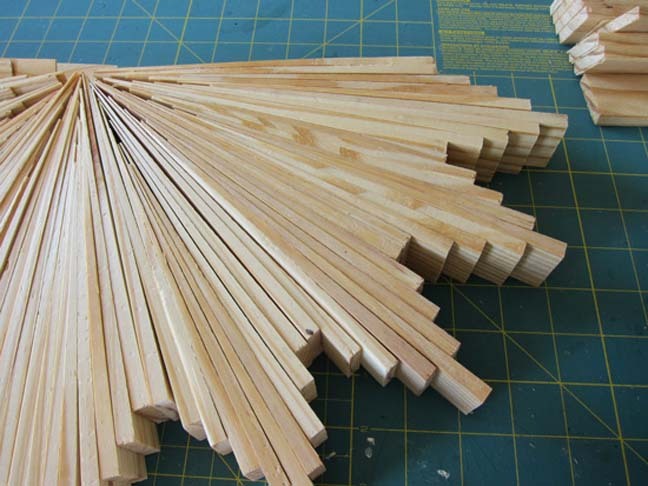 You may need to sand the edges lightly after cutting. 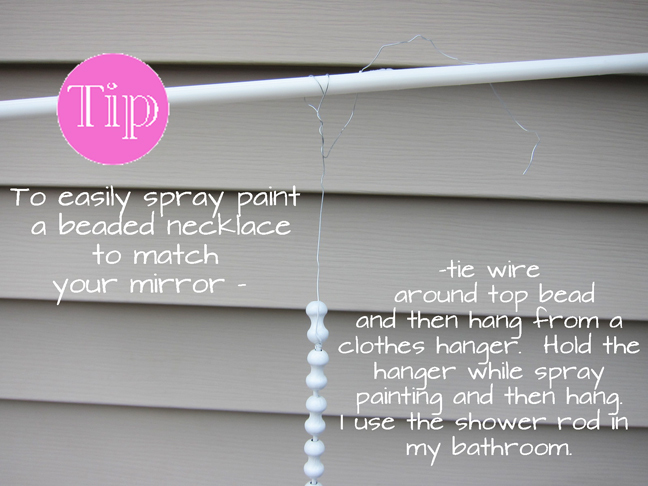 Step 6: Measure around the mirror and cut your beaded necklace to that measurement. Spray paint the pieces to match the shims. 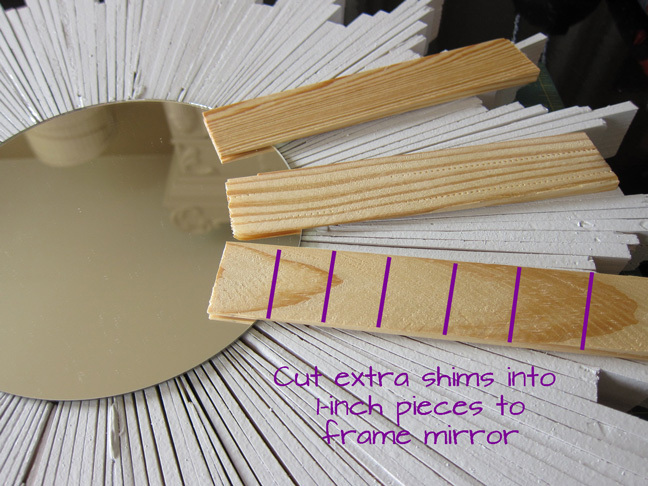 Step 7: Glue the necklace around the mirror, and then glue the cut pieces of shims as shown. I used hot glue. Step 8: Attach the picture hanger to the back of the wreath on top of the wood ring.